WWW vs non-WWW - Which is Better For WordPress SEO? WPBeginner» Blog» Beginners Guide» WWW vs non-WWW – Which is Better For WordPress SEO? Every now and again, we get asked by users what’s the difference between www vs non-www in site URLs? People often want to know which one is better for SEO, and whether they should change their site URL. In this article, we will help you understand the difference between www vs non-www and which one is better for WordPress SEO. Before we start: for an average user and small business owner, there is absolutely no difference between www vs non-www. It’s completely a personal preference. Yes there is a technical difference between the two which we will cover later in the article, but for most people it shouldn’t matter either way. There are absolutely no SEO benefits of choosing one over another. Even Google has said that it all depends on your preference. What’s important is that you stay consistent with the one that you chose at the time of starting your website. In other words, DO NOT change your site URL to add or remove www from it. You can let Google know about your personal preference, and they will honor it. 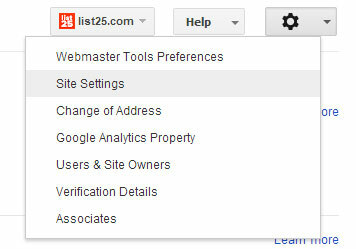 All you have to do is go in your Google Webmaster Tools account and click on your site. If you have not added your site to Google Webmaster tools, then follow our guide on how to add your WordPress site to Google Webmaster Tools. Next click on the Gear icon towards the top right corner of your screen and select Site Settings. On the Site Settings screen, simply choose the preferred domain. Alternatively, if you’re using WordPress SEO by Yoast plugin, it will automatically set canonical URL in your site header which will let Google know of your personal preference. That’s all what you really have to do. Before you even consider asking, yes we’re using www on WPBeginner site, but that was a personal preference. On our other site such as list25.com, we do not use www. It’s just a personal preference that’s it. When you add www. in front of a site, it acts as a hostname which can help with flexibility with DNS, ability to restrict cookies when using multiple subdomains, and more. 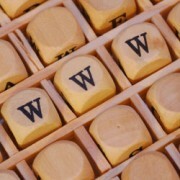 Whereas non-WWW domains also referred as naked domains do not have a technical advantage. For full technical explanation and details, refer to this article on Why use www? We hope this article helped clear any confusion between WWW vs non-WWW for your site URL. They are both equally as good with SEO. I changed mine just now to www from non www, will this damage my prexisting SEO? I already have both added to Webmasters and just changed my preference. If you set up the canonical url then it should have minimal effect on your SEO. When I enter URL directly of my website after clearing cache then store id is displayed along the url is it good for seo or not. They can be considered duplicate content when indexed, you can use Google’s URL parameters tool to avoid indexing those. WordPress users exist because you guys exist on internet, otherwise many people got distracted and ruined their business. What is the risk of changing fron non-www to www site ? This would be important if the domain was used before buying it so its important to check any existing backlinks as there may be a benefit to www or non www depending which has the best metrics. Hello, After setting my preferred domain to www version , my non www version is showing me robots.txt fetch error, while in www version i have no such error. i set 301 redirect from non www version to www version too. But due to fetch error i cant see any indexing on non www version so what should i do with robots.txt fetch error for non www version of my site in search console. Sir/Mam, i am eagirly waiting for the reply. Yes, this is the problem. You need to add your non-www URL to webmaster tools. I have always wondered if not including the www in my url hurt SEO. Thanks for the article. Answered my question. I see nothing wrong with updating older posts and displaying the recent updated date as opposed to the original post date. Although many websites like “www.”, I don’t recommend you to add “www.”. You save up to 4 characters in your site’s url, making your site show more keywords in url when appearing in search results. This is good for SEO? In addition, visitors usually type root domain in their browsers. Non “www.” will reduce your page load time. which is one is better for speed up wordpress? if we have non-www then want should do? Hi guys, I have a site configured as non-www but the www results are better than the non-www ones. Should I switch to www? If you are saying that the same website is indexed with both www and non-www URLs on the same domain name, then this is actually causing the duplicate content issue for Google. You would need to pick one and stick to it. You will also need to redirect users and search engines from the URL format that you drop. My site is without www so is it good or bad ? So i went into the dashboard and changed it from http://new.example.com to http://www.example.com and as soon as i clicked “save changes” the site hasnt been able to be located anywhere, not even in wp dashboard. As we have mentioned above, the www is technically a subdomain itself. Some web hosts configure their servers in a way that automatically redirects users to non-www url when someone tries to access it with www. It seems your host doesn’t support this by default. This means when you changed URL from WordPress settings to http://www.new.example.com, then it started pointing to a subdomain that does not exist. Replace example.com with your own domain name. Save and upload the file back to your server. You should now be able to visit your website again. i have set my preferred domain with www but i had done my seo submission without www. is their any technical issue in serp. Yes, you will need to redirect users and search engines if they are not already being redirected. Here’s the question… just learning about SEO now. Before I setuo my new website I was putting my links all over the web as www. But then my new website shows up as non-www. Is google seeing this as 2 different websites? Are they not connecting the backlinks that have a www to the new website that is non-www? I saw this option after noticing that no one uses www anymore in conversation and it seems more streamlined (less is more?) so I removed it. I ended up losing massive amounts of SEO juice and that could have ruined my business. If Google is going to let you change, then why don’t they send the juice with the change!?!?!?!?! Maybe you didn’t understand that www is a subdomain. When you switched, you technically changed your website’s “home”. You moved homes from the subdomain www to the “base” URL. Google let’s you update your webmaster to tell them you’ve moved homes. They won’t “send the juice” to your new URL because you didn’t gain the rank using that address. Where can this be adjusted in yoast? After making sure the redirect for www to non-www is in place, how long before webmaster tools will index the non-www version. Seriously guys I would always choose www. I decided to choose non www. because I liked it better but I am now having all kinds of problems later down the line. My host offers cloudflare at a reduced rate. After spending 19 days on tech questions they now tell me that I cannot have a non www. domain running cloudflare through my control panel. In changing over I have also had problems with my ssl certificate. Non www. just isn’t as flexible at DNS. This situation has got very messy the further I have progressed with it and multiple changes in htaccess, server setup and code have been needed to maintain proper operation. It isn’t worth it, it slows your site eventually through all the mess it creates. Some of the problems I have encountered have been my own fault but I like you was stumbling blindly into stuff and just did what I was told. The free advice wasn’t always all that great and now I’m in a bit of a mess that could of been avoided if someone would of just warned me against the vanity of the non www. When I was first reading this up everyone was like… Oh yeah use non www. if you like…Google doesn’t care. Well I now have all my webmaster tools set up, analytics, company stationary, business cards and all the rest done and my site won’t work properly with cloudflare. I think there may be a work around at cloudflare but to use a cname requires a business account at £200 a month. I haven’t fully investigated that option because I can’t afford it before anyone asks. Also, I get the redirect thing but it’s not the point? It’s all extra work that can be avoided and when your site gets big it adds up. If your coming to this raw I would advise you to set up as www. If nothing else to save yourself months and months of reading and frustration. I use for several years the www. and no www. for my blogs and its no technical issue, the only problem is with the SSL certificate, you must release it with the www. version so it can work on both versions if you release it on non www. it will work only on your non www. site. Its so obvious that wpbeginner changes the date on their old posts to make old content look newer. We do not change dates. Actually we display the last updated date of a post and not the published date. We regularly update our old articles with new information. We update screenshots and make corrections when necessary. Yeah, I do the same thing. Every year I have to re-evaluate the “best” overall tools. If I find something important sooner than later then I just post it immediately. Kudos to you guys for getting proper use out of your blog posts! Seriously folks, if you are a blogger and do not regularly revitalize and update old posts you are missing out on opportunities!!!! I see nothing wrong with updating older posts and displaying the recent updated date as opposed to the original post date. I don’t think you really need to worry if you want to change the url from www to non www or vice versa at a later date. You don’t really need to be consistent anymore. WordPress 2.3 version has already improve on this and the only thing that is needed is to go to your wordpress settings->General and add or remove www. wordpress will automatically change all redirects by itself and you don’t have to do a thing, you don’t lose anything, no serp no likes nothing. The only thing you need to change is your webmaster tools url and thats it. Google might take a bit to index all your pages again but google its pretty fast. In conclusion don’t worry if at a later date you want to change your url again. You can do it as many times as you want. Hi Erick, Was trying to find an answer to this question as I too would like to change my non-www to www domain and am thrilled to hear its really this easy! What about internal links and media stored on the site? Will that need to be redone? Also, will I need to update my settings with plugins like jetpack or will they automatically be informed? Thanks so much for your comment, it really makes things so much easier for me as I’m very new to wordpress! So when you list your bog on other sites should you stay consistent and use www or non depending on your preference? Let’s just say a designer did change your site from www to non www. And your site dropped out of Google. It is advised to wait it out? Or change it back to www ?? Restore a copy of your website on www. and setup 301 redirects to your new non-www site. But my opinion is this,there are no difference between www or without www effects on seo traffic and ranking. But technically www is standard way to represents url address so we should prefer with www url. The one click install on most cpanels seem to omit the WWW in the setup. This has been my experience anyway. Good article. I would just add the importance of doing a 301 redirect from one to the other, whichever way you choose. Thus way all links get resolved to the same domain (subdomain) instead of splitting backlinks. Great information, but for small bloggers like myself, how do I find out which way I set it up initially? I honestly can’t remember!